This two level modern townhouse offers the best of both worlds with easy low maintenance living in a private secure complex of 90 townhouses. On site management looks after your investment along with the landscaped gardens, sparkling in-ground pool and BBQ area. All you need to do is enjoy the lifestyle. 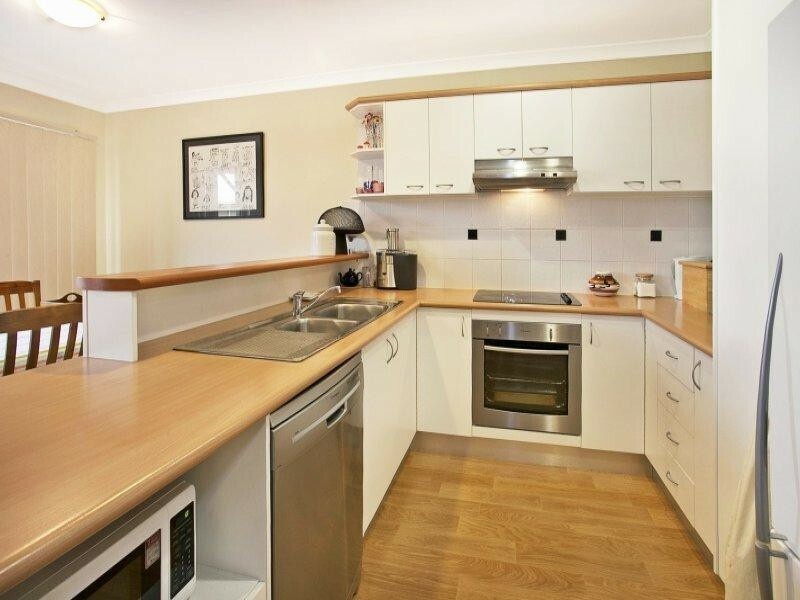 Entry level comprises a full bathroom, large laundry with storage and a double remote garage. It also has a fully fenced courtyard surrounded by garden and mature trees. Upstairs offers open plan living with split system a/c, fans, modern kitchen, combined lounge/dining, 3 bedrooms with built-ins, 2 bathrooms and a front verandah. With amenities close by including transport, shops, schools & parks this is a great opportunity for the homeowner or astute investor.